I'm a fan of Marco D'Alfonso since his Kirby-style Akira cover. But that's not his only great mashup. There are many more—and even better! 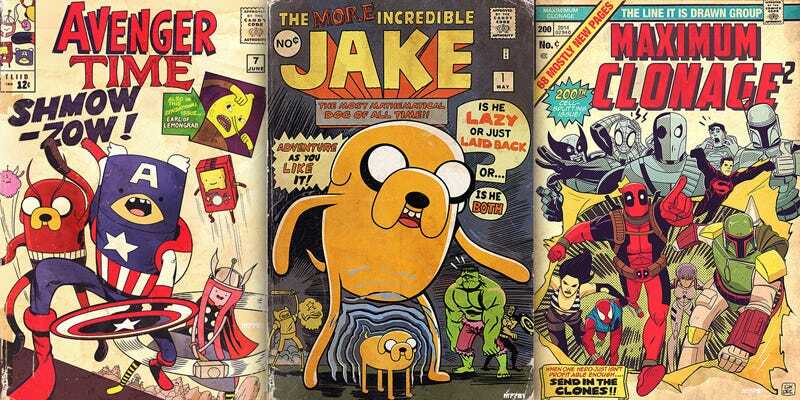 Like the iconic Avengers #4 cover by Jack Kirby mixed with Adventure Time. There are much more and I love them all. Marco D'Alfonso is a Canadian graphic designer and illustrator. You can follow his work in DeviantArt and his blog.